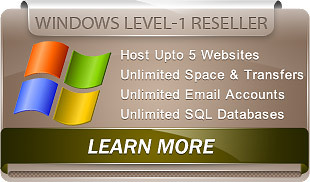 Start your own web site hosting business today with our feature rich Windows Reseller hosting plans. 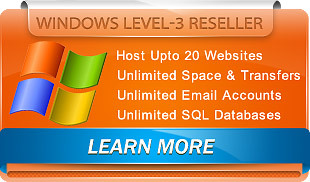 Our reseller hosting plans are affordable, powerful & scalable. 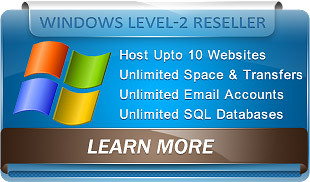 Our Windows Reseller Hosting Plans are very simple to use & setup. We can help you setup plus we have a very easy to follow step by step instruction guide that will get your hosted domains up and running in minutes. 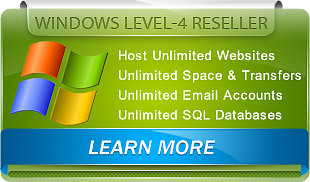 PLEASE CHOOSE A WINDOWS RESELLER PLAN THAT BEST MEETS YOUR REQUIREMENTS.